Antarctica Has Sea Ice Rabbit Ears, a V for Victory or Maybe It’s a Peace Sign?… | Wott's Up With That? 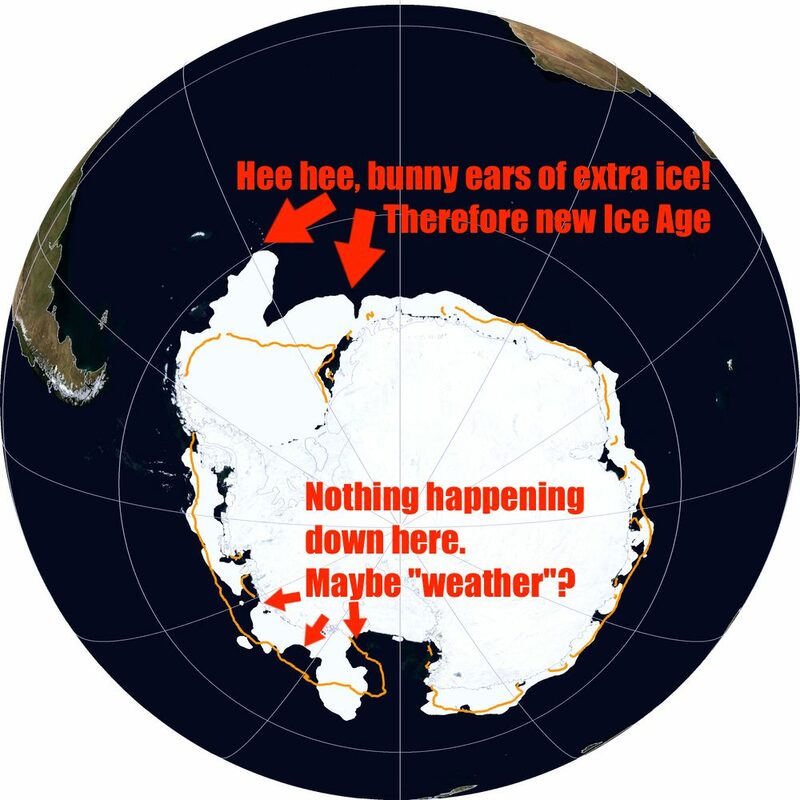 This entry was posted in I wouldn't have seen it if I didn't believe it, I'm not a Climatologist, Look Over There!, Uncategorized and tagged Antarctica, Anthony Watts, Sea ice by Ben. Bookmark the permalink. Gee, I wonder what the Head Bunnie, Eli Rabett, has to say on this….!!! !